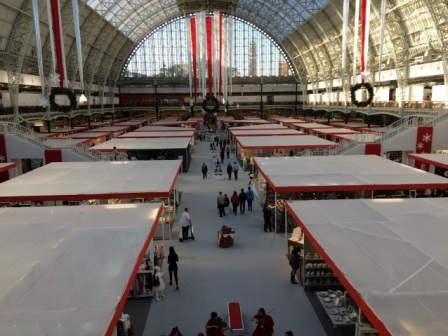 Participating in trade shows and exhibitions is no longer reserved for start-ups. Even established businesses consider participating to continue gathering greater reception from interested parties. It is widely considered as one of the best avenues to launch new products and innovations. With potential clients and partners already gathered together in one location, a business can accomplish many things by participating in a trade show. First-time participants cannot simply wing it and attend a show without proper preparation. Some start-up companies begin by attending trade shows before becoming participants. This is one way you can get an idea of how it works and scout out competition. By spending a small amount to register as an attendee, you can ask as many questions as you want and learn as much as you need. Once you have registered as a participant, you can then zero in on the potential clients and partners by checking the list of exhibitors. Your pitch will dictate how well your product is received. You will need a bit of creativity to stand out from the crowd especially if you are offering an innovative product or service. Some ideas include demos and videos. But you have to keep in mind that attendees will not spend time on your booth if you don’t catch their attention the first time. Have some exciting taglines related to your product and be energetic in pitching them. Certainly, the design of your booth also matters. For better visual appeal, you can use roller banner ads that are not only cheap but also space saving. You can get printed pop up banners from rollerbannersuk.com. By keeping your booth simple and inviting, you are likely to get the attention of attendees. Since trade show registration doesn’t come cheap, you need to be able to know how to save on the cost of materials and resources used for the exhibition without sacrificing quality. If possible, limit the number of people you bring with you. This will help you save on travel and accommodation expenses. Businesses also go to trade shows in order to build their network. You need to be prepared to talk to people. You have to make an effort to be friends with organisers and staff as well as your neighbouring Be strategic in spending your time so that you can find a valuable network of potential clients and partners. Trade shows are indeed a valuable avenue for businesses that are aiming for growth, expansion, and recognition from peers and consumers.